As a new daddy, I’ve had to change my way of thinking. Now that I am responsible for a little one, I’ve been asked to rethink my ride. My workhorse car, a British-brand SUV, has served me well for over seven years. While it has traveled almost 280,000 kilometers (don’t ask) and has been dealer-serviced, my wife’s concern when it comes to my car (which I’ve worked hard over all of these years), boils down to the ‘what ifs’: what if the car breaks down with the little one in the back seat? What if the air conditioning stops working? What if a tire blows out? With these things in mind, I started looking at cars in the market to get a better idea of what I should be buying. I wanted a car that would be safe for my daughter but still have lots of gadgets for me to play with. A good friend pointed me in the direction of General Motors and their Chevrolet brand. He also urged me to check out the Traverse and take it for a test drive. So I did just that. Right, let’s start with first impressions. 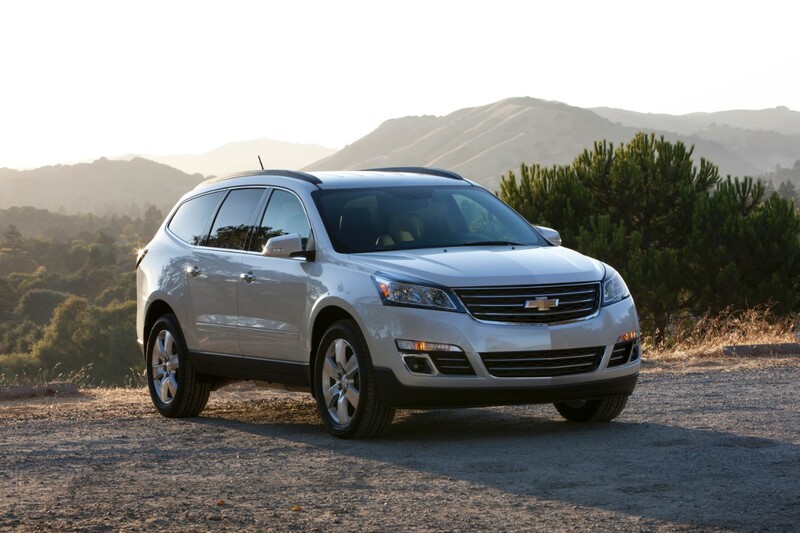 I have a small yet sturdy SUV, but the Traverse’s roomy, spacious interior immediately blew me away. We had no issues fitting in the pram along with what felt like an endless array of grocery bags. In addition, we still had space left over for even more shopping bags, which is no mean feat if you know my wife. The space in the back was comfortable for both my daughter and wife, and because of all of the extra legroom they had –compared to my current car – I didn’t need to push my chair forward. When you’re six feet tall and you drive quite often, it’s good to not have to be cramped. There were also many options at the back for anyone who sat there to play with, including rear seat entertainment systems, USB ports to charge smartphones, AUV jacks, and air conditioning controls (the air conditioning circulated well throughout the car, including at the back). My current car is so old that many of these functions are only available to me, so it’s nice to not be asked to change the A/C settings every couple of minutes. Instead, I could actually focus on the road (sorry darling). Our ISOfix car seat was also super easy to fit into the backseat, and the hooks for the ISOfix were simple to locate underneath the seat covers. Now, let’s talk about daddy’s personal experience. 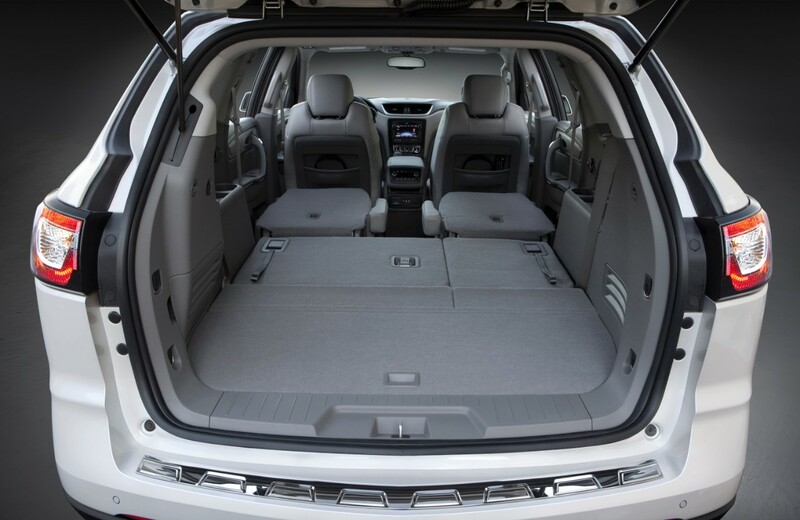 As a ride, the Traverse was easy to handle; the car didn’t feel heavy or weighed down, especially when going into corners. I’d have liked a bit more oomph from the engine, but as a new daddy, I have to accept the fact that driving fast is no longer for me. There were also many additional features designed to offer driving support, some of which I loved. The alerts, including side blind zone and forward collision alerts were very helpful when trying to avoid unnecessary bumps while out and about (and parking, I will admit). What I loved even more was the lane departure warning system. I live in Abu Dhabi and I work in Dubai, so I have two long drives every day. That lane departure warning system helped me focus whilst on the road, making me a safer driver both for myself as well as others around me. And now for the gadgets! There’s so much to talk about here, including the obvious USB docking stations for my smartphone (the car is also Bluetooth-enabled) as well as a fully equipped central panel which included everything from a comprehensive GPS navigation system map – to help me get from point A to point B using the shortest and quietest route – to a host of radio and video options for both me and the passengers in the back. Another great feature was the central panel, which is built into the wheel itself. I could control pretty much all of the tech stuff from the steering wheel, including the usual suspects such as the radio and audio functions as well as my actual phone (using voice commands, which I found to be very handy). 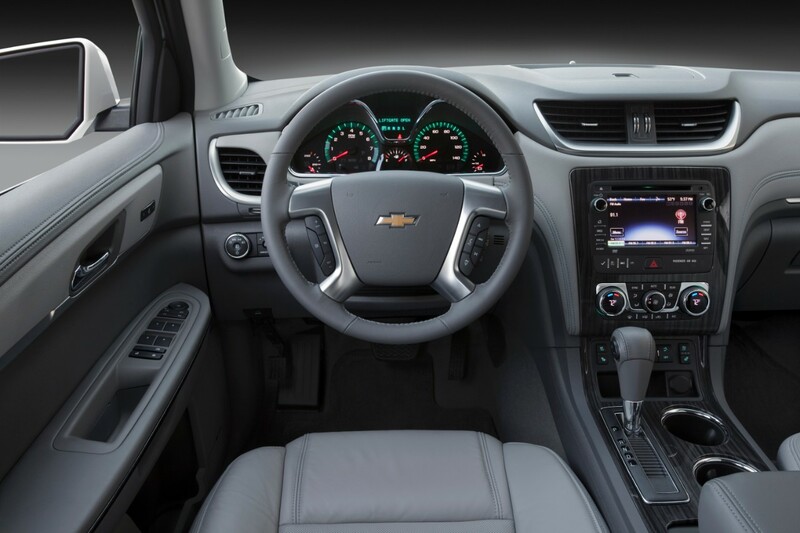 This is a system called Chevrolet MyLink and is basically a touch-screen display that gives you easy access to all sorts of things (navigation, entertainment, phone apps, and even your contact list). I had everything at my fingertips, literally. When I was driving to work by myself, I got to listen to some music via the Bose surround sound system. Let me tell you, the sound was crisp, loud, and very clear. This also made phone calls a joy (hands-free of course). To round it off, I’ll admit that, prior to this experience, I had never thought of the Chevrolet Traverse as a viable option. Having stepped into the car and sat behind the wheel on my own as well as with the family, I have to say, I’m impressed. 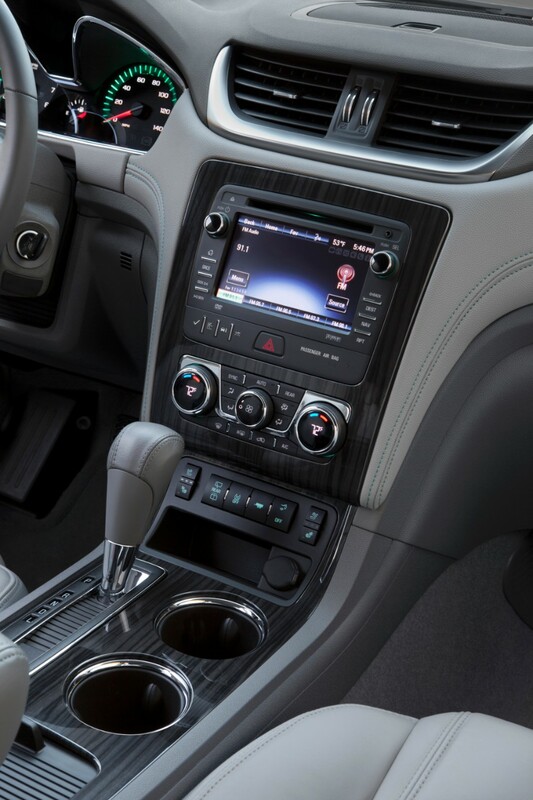 The car comes with a host of options to keep everyone in the family happy all the while offering a safe and smooth ride (thanks to side airbags and the industry’s first front center side air bag). And that to me is the most important factor to consider when choosing my next car. As for the price? The car I was driving, a Traverse LT AWD, starts from 125,764 AED. Needless to say, it’s well worth your while. I promised I’d write on my experiences as a father and I’m having to start things off on a serious note. As some of you may know, my wife is from this region but I am not. We welcomed into our lives a little princess earlier this year. The sad story is that in the Gulf region children born to Gulf women, in other words women with a nationality from the six GCC states, who are married to foreign men do not receive their mother’s nationality. This is in contrast to Gulf men who are married to foreign women. Their children do receive their father’s nationality. It’s important to us that our little one cherishes both her cultures and that she’s recognized as both. She’s fortunate to have a European nationality through me, but, try as we might with visits to interior ministry offices and other government bodies, we realized that there is no formal process for our daughter to become a Gulf national like her mother. This is the same all over the Gulf, despite sporadic exemptions to the contrary. 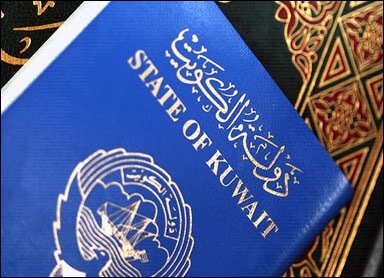 I’ve heard countless reasons for this, such as the need for Gulf women to marry Gulf men, and the legal requirement that a Gulf national should have only one passport. To me, any discussion is bogus. If I was a Gulf male and my wife was a European foreigner our daughter would have qualified automatically for both nationalities. I hear lots of news about progress being made it terms of women’s rights in the Gulf, which I applaud. However, until Gulf women are able to give their children everything that their male counterparts can, I cannot contend that women here are anywhere near to being equal to the men. I hope for change, if not for my wife’s generation, then at least for my daughters. I hope you will join me in calling for a change to how Gulf women and their children are treated in the Gulf. For those of you who don’t know me personally, I’ve been fairly busy of late. The lack of sleep and general state of red eye has been caused by the arrival of my little princess. As a first time father I’m both delighted with living the role and taking up my responsibilities (I genuinely do enjoy the 2am feeds and burping walks). But what I also want to start doing is blogging about this, particularly my experiences. I’m going to start reviewing things that my little one loves and which keep her safe and sound. I hope you enjoy reading these blogs as much as I do living them with my little one.